It looks like the baud rate should be 4800 or maybe 9600 but I’m not sure. I think our NMEA range finder driver should be able to consume either format 2 (DBT) or format 3 (DPT) messages. Bad news, the Pixhawk has no dataflash log. I can only get the tlog from the PC via MP. Not sure why the unit doesn’t have one. Not sure if this affects it, but I didn’t have the GPS plugged in? I’m using the Here+ with the RTK base for input. If it is meant to store a file with Lat/Long and the Depth, no GPS connected it wouldn’t be able to store it? Hi @rmackay9, I have had a win! I went and rewired the whole setup I have from the sounder to the Pixhawk. Installed some new quick connects, etc. I followed the wiring setup as specified in the ArduRover documentation. Doing it this way I got no data in MP. I switched the TX and RX between the RS232 to TTL Converter and the Pixhawk. I then got data in MP but only when I connected to the unit via Bluetooth to the PC. Stop the Bluetooth and then no data. So I switched the TX and RX wires from the Unit to the RS232 to TTL Converter and Viola! 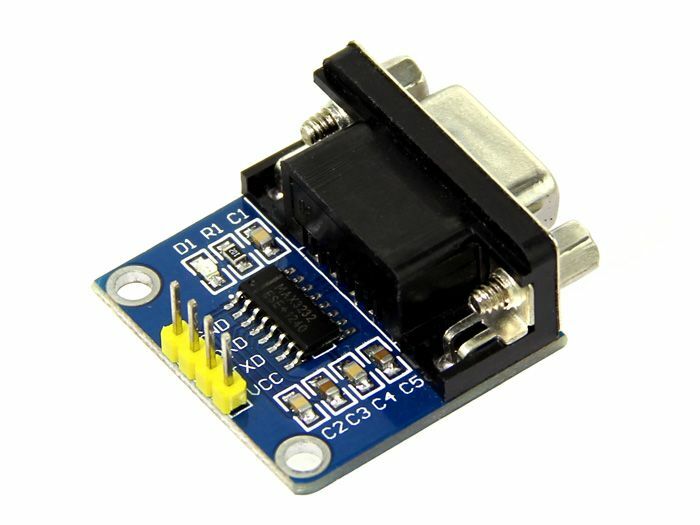 So I am unsure if the Converter I got already does the switching internally? But I am getting the data through MP via RS232 and correct values. I can’t wait to install this into the Boat and get the RTK Logging with the Depth. This saves me about 1-2kg of Weight that I don’t need anymore. Great job with the NMEA Driver. If you like I can draw up a wiring diagram of my setup so you could add this onto the list of supported depth sonars/sounders? Yes, if you’ve got a connection diagram (and links to parts if possible) then I’ll add it to the wiki. Great! I’m trying to connect a Lowrance Totalscan and Elite 5Ti to Pixhawk but I have some doubts. 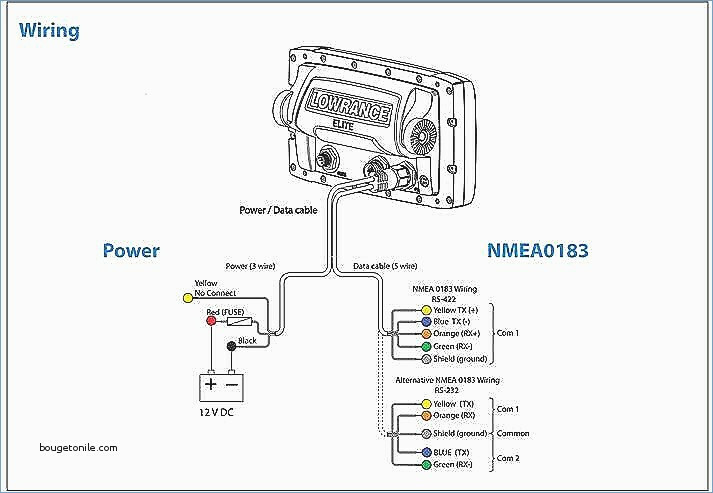 The NMEA 0183 output from Elite is an analog or digital signal? Can I wire it with a Sparkfun RS232-to-Serial converter to the Pixhawk’s TELEM port as Randy did with ECT400? All your comments will be very appreciated. I’m not toot familiar with the Lowrance Totalscan but a NMEA 0183 output is certainly a digital signal. In particular it’s a serial protocol (i.e. a string of characters). I think the RS232-to-serial converter used for the ECT400 should work. If you’re looking to use the Elite 5Ti as well then that probably means that the output from the Lowrance Totalscan needs to be split and sent to both the flight controller and the Elite 5Ti. 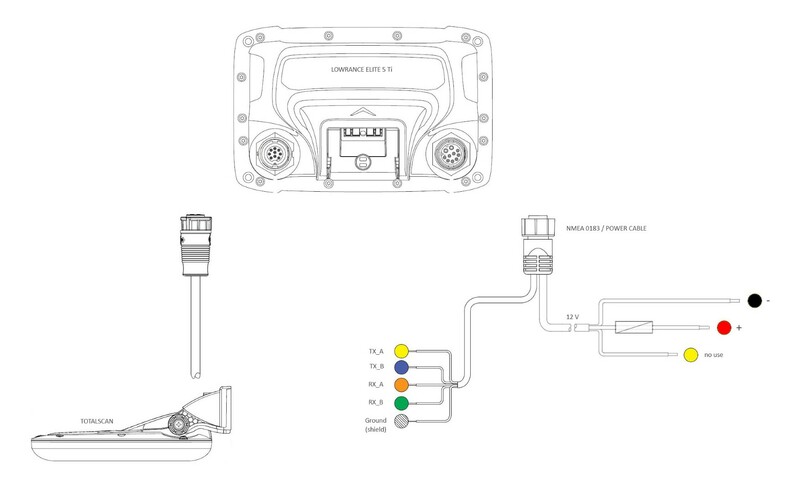 The diagrams for the ECT400 setup show both the transmit and receive pins are connected but in fact, it should work with just the transmit output (from the Lowrance Totalscan) split and sent to both the flight controller and the Elite 5Ti. The thing to be careful of is the voltage of the pins connected to the flight controller’s telemetry (aka serial) port. The flight controller can only handle voltages up to 5V so if you check the voltage across the ground and transmit or receive pins and find it’s over 5v then that’s dangerous to connect. Nmea/power cable output from Elite 5Ti to RS232-to-TTL converter. As you can see on picture, from nmea cable I have 5 cables (TX_A, TX_B, RX_A, RX_B and ground) It seems a RS422 output not RS232. But there’s an alternative wiring for RS232. From converter to TELEM2 I’ve followed your diagram. Inverting RX and TX does the same. No need in converters just add a resitor. And you need to join Blue(Tx-) from ELITE and Yellow (TX+) by 100 Om resistor. I’ve tried your scheme but it doesn’t work for me. No sonarrange or sonarvoltage data. Maybe any detail I’ve missed? I’ve tried all this and other situations but no success. I will inform if I finally reach anything. It colud be nice to connect a commercial fishing sonar to pixhawk for most people.